Most of these authors should look familiar to you. Requiem gathered some of the greatest "star" power when it came to megaWAD authors of the time. 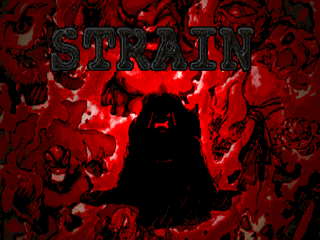 Some of the names you may recognize from Memento Mori / MM2, and others from STRAIN and Dystopia 3. And, of course, there are a few new faces, as always seems to be the case with these community projects. The show-stealers for this particular project appear to be Iikka Keranen and Anthony "Adelusion" Czerwonka who together might as well have released Dystopia 4 in disguise. 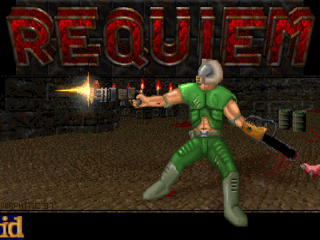 Adam Windsor contributes a fair number of maps as well, but all but one of them are short but sweet affairs, singled out by some as filler speedmaps made to push Requiem to release (given an apparently troubled development, not unlike STRAIN and The Talosian Incident). Holger Nathrath, alongside best buddy and playtester Bjorn Hermans, stand together as two of the most loved '94-'95 PWAD developers, rivaling only Dennis and Thomas Moeller. Their Serenity trilogy spans three episodes for the original Doom and three titles' worth of abstract concepts ending in -ity, but only two years, with Serenity and Eternity seeing release in '94 and Infinity in 1995. And there would have been more! 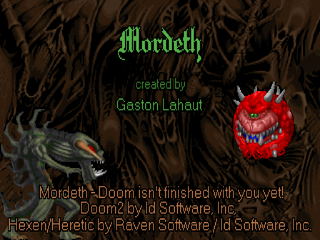 Nathrath and Hermans had two Doom II projects in the pipeline, one a conversion of all the existing Serenity levels to Doom II (perhaps with some more?) and the other an original Doom II megaWAD. We only have scraps available of the latter, namely Bjorn Hermans' own Trydent and Nathrath levels that were donated to other projects, most notably STRAIN with others shopped around to other ambitious projects that never saw release (like the Eternity TC - no official relation). CHORD_NG (previously referred to as CHORD: The Next Generation) is one of a few levels in Malcolm Sailor's CHORD series, the maps of which he claims are the only good ones he's ever made. If that's the case, then I gather that Sailor prizes very hard and very fast gameplay, because that's what CHORD_NG (replacing MAP28 of Doom II) is all about, playing something like a Hell Revealed map on a much smaller scale. There's no story, just you and some Hellish battlements isolated in a sea of lava. Alignment, lighting and all that jazz is impeccable. Sailor emphasizes his tower theme by surrounding the main island with four smaller structures in the distance to place the map outside of a void. Enough about the visuals, though. 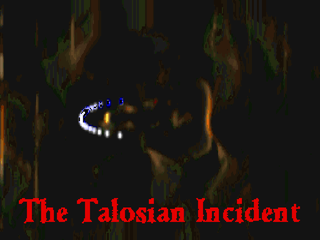 The Talosian Incident is a 20-map megaWAD for Doom II by Black Star Coven, an organization consisting of a number of Doom authors who intended this to be their farewell to the Doom community, in search of browner pastures. From what I can tell, it was supposed to be longer (probably the full 32 maps) but, well, here we are! Most of the maps are courtesy of John "Gestalt666" Bye and Malcolm Sailor (eight and nine, respectively) with a few other authors contributing one map each (including a collaboration with Ola Bjorling), and almost all of the new, atmospheric music by Bye. As an interesting sidenote, few of these authors would actually end their Doom mapping careers with this release. Hell's Eventide is a product of tag-team mapping between Marty Ihlen, Travers Dunne and Rick Clark. 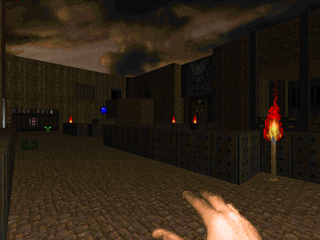 The tremendous trio passed the WAD from member to member after modifying it, creating a medium-size map for Doom II with its own particular Hellish style. The story is a little muddled but the protagonist appears to have witnessed the downfall of his father's kingdom to the forces of evil, brought on by a jealous subject, an adviser named Hilsgarde. The result rended time and space in such a way that future, past and present commingled, resulting in a twisted, broken world. The narrator thus resolves to fulfill his father's dying wish, now that he's older, and slay the source of evil, thus returning things to their proper place. 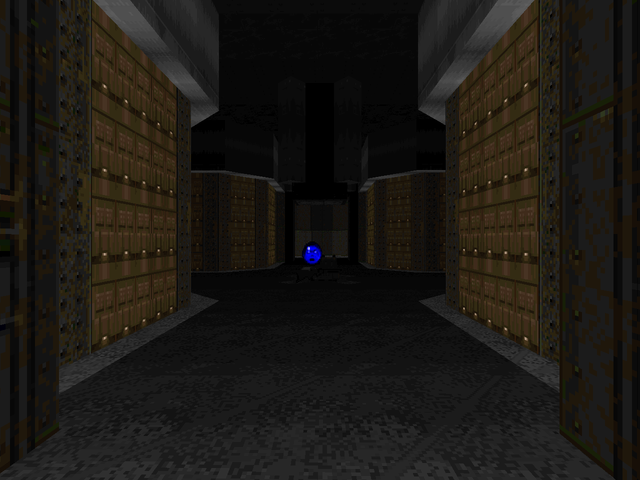 Eternal Doom began life as a 12-map episode for Doom II, produced by Team Eternal and under the direction of Paul Schmitz, the author of Artifact and Welcome to Hell. A number of WAD authors cleaved unto him, including Sverre Kvernmo, who is responsible for many of the new graphics (that is, the stuff not ripped from Heretic and Hexen). 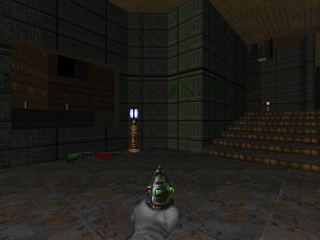 Eternal Doom was updated two more times, adding fifteen and six levels, respectively, to turn it into a mega-megaWAD. I know this project eventually came under the purview of Team TNT, but I have no idea when that happened. I'm guessing some time during the development of Eternal Doom II, but I have no basis for that assumption. 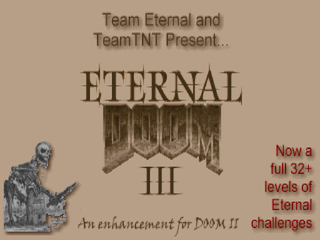 For sure, Eternal Doom III was headed by TNT, given Ty Halderman's involvement. Doom's appeal has always had an international flair, and while it was tougher to suss out during the early years there's a decent chance of finding Doomers who speak your own language. The Russian community is the largest such example that I can think of, but other more tightly-knit groups include French, Czech, and Japanese. 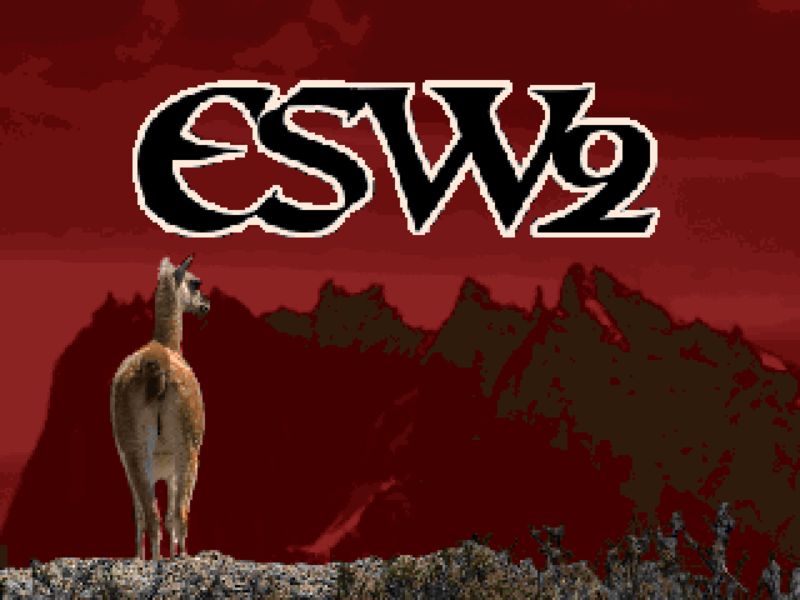 The producers of ESW2, if the names and email address are any indication, hail from the South American country of Chile. The 10-level Doom II PWAD, released in 1995, takes its title from the handle of the main contributor - David Jander aka ESW - who made seven of the included maps. I suppose that the other three authors for the other three maps are his friends.